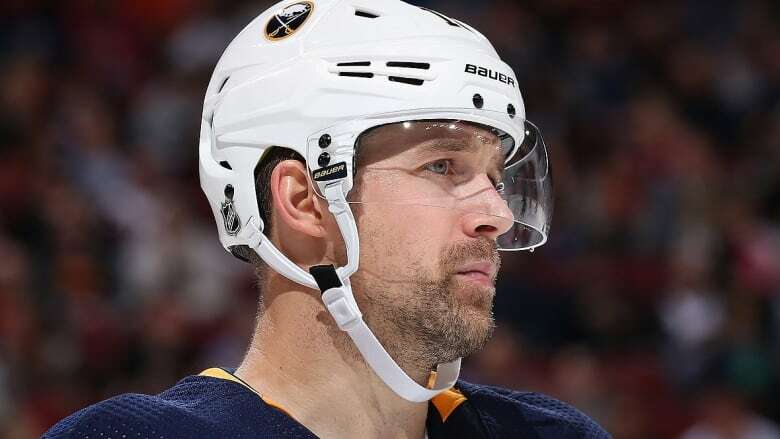 The Buffalo Sabres have suspended forward Patrick Berglund indefinitely for failing to report to the team. Berglund missed the past two games with what head coach Phil Housley called an illness. The Sabres announced the suspension Saturday, hours before facing the defending Stanley Cup champion Washington Capitals. They said there would be no further information or comment at this time. Berglund missed the past two games with what head coach Phil Housley called an illness. The 30-year-old Swede has two goals and two assists in 23 games this season. Buffalo acquired Berglund from St. Louis in the off-season as part of a four player trade that sent centre Ryan O'Reilly to the Blues. Berglund, who played the first 10 seasons of his career with St. Louis, has three years remaining on his contract at a salary-cap hit of $3.85 million US. In other Sabres news, defenceman Matt Hunwick has been recalled from his conditioning stint with the team's American Hockey League affiliate in Rochester, N.Y.
Hunwick, who has yet to play this season due to injury, has appeared in 521 NHL regular-season games in 11 seasons with Pittsburgh, Toronto, Colorado, Boston and New York Rangers. The Warren, Mich., native was acquired from the Penguins in June.